More tension. More conflict. My agent returned a manuscript set in World War II asking for more action. The setting is in the States, but the heroine's husband is a bombardier in a B-17 in Europe, so I decided to garner more action by visiting that scenario. I had no idea what a fascinating subject I had chosen. The B-17 bomber was an incredible aircraft flown by amazing men. The Boeing aircraft was conscripted into service to man bombing runs into Europe to destroy Germany's industrial capabilities, including aircraft factories and ammunition depots. It became known as the Flying Fortress after a reporter upon seeing the aircraft bristling with multiple machine gun turrets remarked, "Why, it's a flying fortress!" The name stuck, not only because of the protruding guns but also because of the stability of the aircraft. 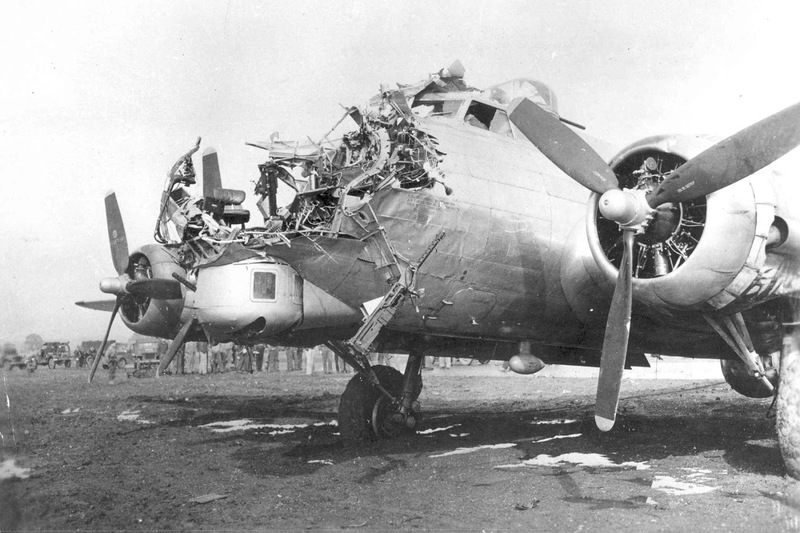 The plane was capable of sustaining hits which would cripple another aircraft, but the B-17 seemed to be able to fly in spite of it. A crew of ten young men manned the B-17 bomber: the pilot, co-pilot, navigator, flight engineer, bombardier, radio operators, and various gunners. Most of them were between 19-25 years of age. The loss of life was incomprehensible after they began the bombing raids. 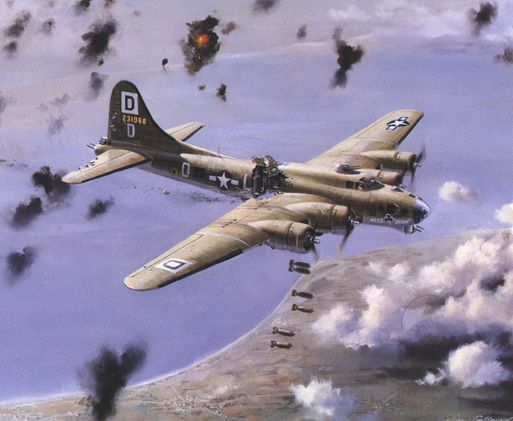 The German "Butcher Birds" were too fast and the B-17s were virtually sitting ducks as they flew in their static bombing formation. The crew members wrote of being able to see the faces of the German pilots grimacing as they attacked them. However, they had to maintain their formation, otherwise the bombs would go astray and miss the target. 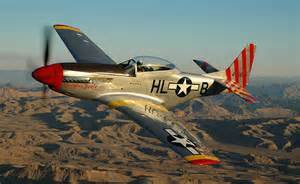 That is until the P-51 Mustangs were brought into service. These amazing fighter planes could outmaneuver the German Butcher Birds and greatly slowed down the loss of American lives. 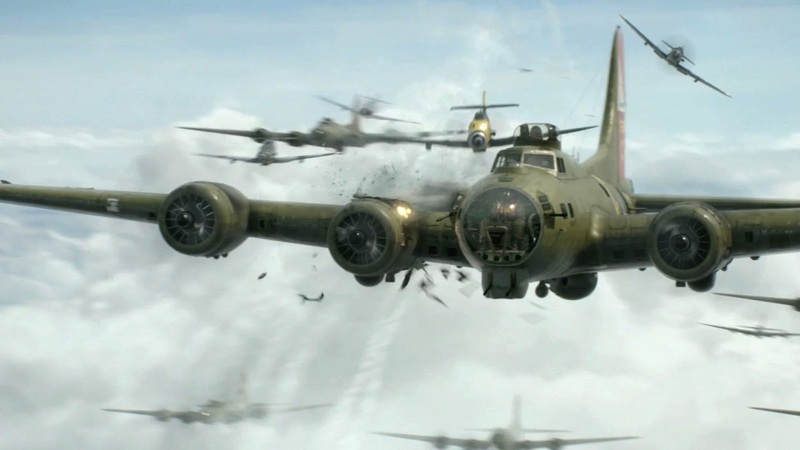 The B-17 crews called them their "Little Friends." They breathed a sigh of relief on the bombing runs after they sighted the Mustangs on the horizon coming to their rescue. been made about the flying missions of the aircraft. She was one of the first B-17 bombers to complete 25 missions with her crew intact. 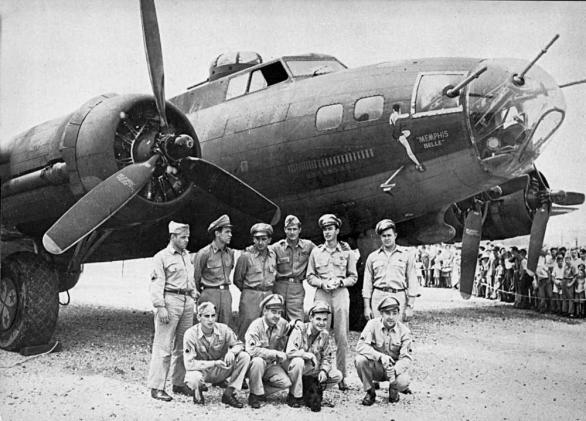 The crew was subsequently sent back to the States to raise war bonds. of our country. 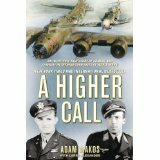 For a riveting read about this phase of our history, I highly recommend "A Higher Call" by Adam Makos. It relates the true story of both an American pilot and a German pilot and their parallel journies which collide in the sky over Germany. Do you have a story about a war veteran in your family? Share it with us, and God bless your family for giving in service to our country. I salute my brother, Scotty Keyes, a Marine, who gave his life in combat in Vietnam. Although a multi-published fiction author, Golden Keyes Parsons’ first published non-fiction work, Spiritual Spring Cleaning, (BoldVision Books) just released in April 2015. Her series, Darkness to Light, (Thomas Nelson) chronicled the journey of her ancestors in 17th century France and was a finalist for ACFW’s Debut Author of the Year in 2008. Her fourth novel, His Steadfast Love, a Civil War novel, was a National Readers Choice finalist. Parsons has also written a biblical fiction series entitled Hidden Faces, Portraits of Nameless Women in the Gospels (WhiteFire Publishing). Golden lives in Waco, TX, with her husband, Blaine. www.goldenkeyesparsons.com. Labels: B-17 bomber, combat, fighter planes, veterans, World War !! Nice to read a blog post by a fellow Texan. My father was in the Army Air Corp and he was lucky several times in WWIiHe was in a convoy of ships that missed Pearl Harbor by 2 days. The soldiers from our home county of Jack were in the same convoy.Dad's battalion stayed in Australia and the convoy was captured and became the Lost Battalion. My dad was in Europe during WWII, seeing action at Normandy and the Battle of the Bulge. He was one of the soldiers who helped liberate Buchenwald. He's still alive and will talk about some of his experiences. My maternal grandfather served in WWI his son served in WWII and my father served in the korean war. None have ever talk about there experiences in the wars. My father was at Pearl and injured at Wheeler Field. Later he was a navigator on a B-17. Their group flew out of Italy to bomb Berlin. He said he did all he could not to bomb the churches. Their plane was hit and went down on the way to Berlin and he parachuted into Yugoslavia. We still have his log books and his maps. We did not know he had saved them until he died and we had a chance to look in his war trunk. Some bits of parachute and his emergency kit were in it also. I read many B-17 memoirs while writing my WWII series (debuting in January) which has the B-17 navigators as the common thread. Some of the stories the airmen told are unbelievable. Another excellent book that came out last year is "Shot Down: The true story of pilot Howard Snyder and the crew of the B-17 Susan Ruth" by Howard's son Steve. Some crewmen evaded, some were captured and executed. That should be required reading for high school students. My husband was a Marine stationed in Viet Nam in the late 1960's. He was wounded and flown to Japan for a nine month hospital stay. I can't imagine a 19 year old going through what he did. Very proud of him and he deserves his Purple Heart! !